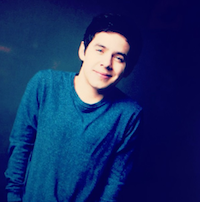 For a solo artist, David Archuleta is an amazing duet partner. That’s a tough thing for many solo performers to pull off. They’re used to singing alone in the spotlight and the sensitivity and ear it takes to blend and harmonize with another singer is a skill in itself. So we know David’s aces at duet-ing. How do his various partners measure up? Here’s a not-so-random sampling. I love this song and David’s harmonies here, in particular. “WithOUUUUT listening”… one of my favourite phrases of his ever. Landon holds his own on guitar, but notice how David looks over to him periodically to “check in” — sort of duet-etiquette, and also to get timing and pace just right — but Landon never once does the same. He might have been worried about getting distracted by David’s chocolatey vocals but still… So Landon gets A+ for the song; D- for being rude to D’Arch. Someone please hold me. Funnily enough, I never really liked the original of this song. But THIS?!?? My crack, thanks to Mr. La luce che tu daiiiii (be still my half-Italian heart). But again, despite David’s looooooooong-distance glances, Rebecca stares out at the audience like he’s not even there. Maybe even at opposite ends of the football field, distraction was a danger. 🙂 Rebecca scores A++ for the song; D for snubbing The Archuleta. k, now THIS is how you sing a duet. Two partners in song, each complementing the other and coming together for glorious crescendoes. A++++++ for Jordin all the way. Pete gets 1,000 bonus extra credits for how he says “Archewletttta”… adorbs. I love how they work together on this one… chills, baby chills. What do you guys think? What’s your favourite duet partner of David’s? 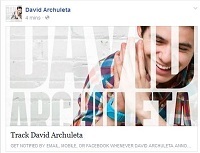 This entry was posted in Fan experience and tagged David Archuleta duets bettah. Bookmark the permalink. I too like David/Jordin duet. They just complimented each other. Not just singing but performing! I think my most-watched duet just might be when he and Jeff LeBlanc got their jam on at the last show of the MKOC tour. Talk about full circle. I love the funkiness, the looseness, the heart, the soul, the everything. I even love how ridiculously tiny David looks when Jeff hugs him at the end. I LOVE EVERYTHING ABOUT IT OK.
“Talk about full circle.” …..I never thought about that! ” I LOVE EVERYTHING ABOUT IT OK.”… me too! An A+ grade tie from me for the Jorvid and Jeffvid duets. How about the dueling dimples duet with Alison Sudol? True, David’s audible part was only a hemidemisemiquaver long, but they were into that song together all the way. OK, extra credit for the blushing. I watched that duet a couple of days ago! So cute! He seemed a little nervous, almost like he had a crush on her! She was very kind to him and wanted him to join in! me too, Tina, I also loved the one he did with the mariachis that night. Just when you think maybe he’ll be out of his element or in over his head, BAM, he knocks it out of the park! Love all the duets David has done. Being the humble, sweet guy he is he never tries to overpower the other singer, his etiquette is superb. Have to add this one too, even though it is Mom he is singing with, can’t help but love it. She definitely demonstrates perfect ‘duet-etiquette’ with her son and of course, lets him shine….all kinds of love here. you’re so right, pepp, David’s duets (and dances, lol) with Lupe are something special… “all kinds of love” for sure! Love all David duets. They show his musicianship and his personality. Tofan,, I don’t comment often, but I sure appreciate you. You are one Funny, Smart Lady. omigosh, the EPIC David & Ray HYAMLC! “You’d know about olden days, right?” hahahahaha, thanks, Anonymous! My favorite that I was present for was “Waiting on the World to Change” with Jeff. Such a surprise and soooo groovy. Next would be Jordan for sure!! The one that brings the biggest smile is Christmas with Ray!! So many great ingredients from the shock on David’s face, to the persistence of Ray to the staying professional and plowing through by David!! Thanks for the find, I just now listened to it. It’s gorgeous and the sound is so clear and pure. This sounds absolutely sublime! Loved the duet with Jeff–hadn’t seen it before, so it was a fun surprise to see something new. Jorvid still surpasses them all for me. I listen to it often. And it was the best thing ever. The look on her face, like yes, she was remembering Christmases past, family, children, husband. And his sweetness with her. So loving. And then the grandaughter who had posted it on vimeo was asked to take it down, and she did. Because of course David does these things in private and wants no kudos for it, he’s just too good. If he wasn’t so talented, I’d wonder how he ended up in that cutthroat businesss. And commenting at 2 am is not good lol. I have been saying that for years. Wow….. Awesome post and comments!! My fave is……. Hmmm, need to rewatch ALL of these !!! Hoping to have time for a duet vortex tonight…. Was listening to Don’t Give Up in the car and, not sure if it’s technically a duet, but loved the contrast between David’s voice and Libby’s (sp?) 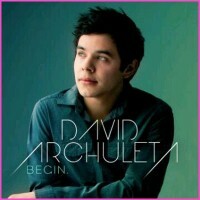 – hers isn’t a voice I would’ve picked to sing with D but it’s magic – one of my Dave’s on BEGIN. And, I’d love to see him duet with Natasha Bedingfield; remember on AI when she hugs and kisses him…. 😀 😀 😀 ….almost as good as a duet, eh? One of my favourite AI7 moments for sure! Sounds Of Silence has always been one of my favorite S&G songs – I looooove the sound of his voice here! Can’t stress enough how MUCH I looooove it – his voice just floats! As you said tofan harmonizing is a skill in and of itself – and again, he nails it! No offense Landon, but man, I would loooove to hear D do this one solo! 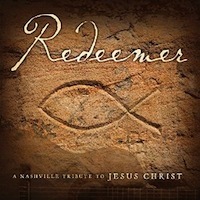 The Prayer, Rebecca has a beautiful voice, but I really only hear him. Jorvid, cannot count the number of times I have watched this! Jordin is as generous a duet partner as David! David and Lupe, hope they never stop dueting! Jeff LeBlanc, great together, you could tell they were both having fun! I listen to this one alot! The JeffVid is the one that really nailed me. It brought everything full circle and he seemed so happy to be able to sing off the cuff like that. For sheer surprise and hilarity I will never forget Ray sneaking up in his Santa hat at Westbury. So glad I was up close for that. Ah, shoot.. I loved both performances with Jordin. Great song and the best duet partner she had for that. Please do not watch the Jingle Bell Bieber train wreck in NYC. David would never have been off pitch. But I digress. Thanks for the memories and for goodness sake, David come home soon.